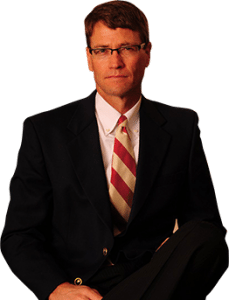 Louisville Truck Accident Lawyer explains Mediation. If you are unable to settle your case prior to litigation, then a lawsuit will be necessary and, in Kentucky, most courts require a mediation prior to trial. It would benefit the truck accident victim to understand what is involved in a mediation. In its simplest form, mediation is an organized settlement conference where a mediator attempts to negotiate a settlement between the parties. The parties will agree on the person to serve as the mediator, who is usually a former judge. An agreement is easily reached on the mediator because most of them are very competent and each party knows that they cannot be compelled to settle the case. Once the mediator is selected, one of the Louisville Truck Accident Lawyers will contact the mediator and schedule the mediation for his or her office. Each attorney will have the opportunity to file a mediation statement outlining their view of the case. Those attending the mediation are the Plaintiff and his or her Louisville Truck Accident Lawyer, the insurance company for the Defendant and the attorney for the defendant, and the mediator. Unlike at trial, the Defendant does not attend the mediation. Sometimes, the insurance company will attend by phone due to the distance from their office to the mediation site. The mediation is not recorded and is considered totally confidential. Although you cannot enter into evidence at the trial anything that is said in the mediation, it does provide the opportunity for you to discover the opposing party’s trial strategy and how the insurance company views your case. The mediation will start with the mediator asking you to sign a confidentiality agreement and outlining the mediation process. Both Louisville Truck Accident Lawyers will be given an opportunity to summarize their view of the case and the mediator may ask the attorneys or parties a few questions. The parties will then split up into different rooms or offices and the mediator will take offers and demands in between the two rooms. Typically, when the mediator comes into a room to speak with the Plaintiff, he or she will tell you about the weak aspects of your case in order to convince you to lower your demand. He or she will do the same thing with the Defendant insurance company to encourage them to increase their offer. Hopefully, at the end of the day, the parties have reached a compromise settlement. You will not hit a “home-run” settlement in most mediations because it is, by its very nature, a compromise. Most mediators will tell you that if there is a settlement that neither party will feel good at the end of the mediation. The Plaintiff will feel like he or she received too little and the Defendant insurance company will feel like it paid too much. It has been my experience that mediations are successful about 50% of the time. In the normal case with two parties, a mediation will usually take 1/2 a day. If the case is complicated and involves multiple parties, the mediation may last an entire day or more. It is important that the proof be developed before the mediation because the proof will give you leverage. For instance, if your treating doctor’s deposition is the strongest part of your case and it has not been taken by the time of the mediation, then your settlement will be less than it should be. The skill of an experienced Louisville Truck Accident Lawyer will help you build the strongest case possible so that you can receive the highest possible settlement in the mediation. If you need representation regarding your truck accident claim, contact Louisville Truck Accident Lawyer Matt Troutman of the Troutman Law Office. Call Matt directly at 502-648-9507 or by email at troutlaw3550@gmail.com and win against the insurance companies.